Sustain the focus and energy to explore ideas, address concerns and create something new. New initiatives, new processes, leadership or scope changes, business challenges, building trust and focus – there are many reasons your team may benefit from dedicated time and space, led by a skilled facilitator, to communicate, collaborate and create. I’ve facilitated meetings with teams around the world, using a number of exercises that invite deepening trust, sharing discovery, problem-solving, planning and investing action towards common goals. Through careful listening and goal setting, I help clients address specific concerns, meet goals, measure success and generate ongoing efforts towards goals and continued improvement. Through skillful, experienced facilitation, I bring an objective voice and presence that bids the group to voice concerns and challenges, learn about each other and deepen connection, and support them so they can focus on each other and what’s ahead. Term and supporting materials will vary; at least ½ day sessions are typically advised. Kim is a delight to collaborate and partner with on projects. -She is an insightful and natural leader that is remarkable at what she does. 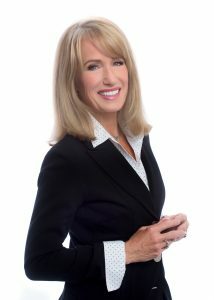 She is gifted in her ability to relate to others and connects through her positive, high energy. Any company would be fortunate to work with her!